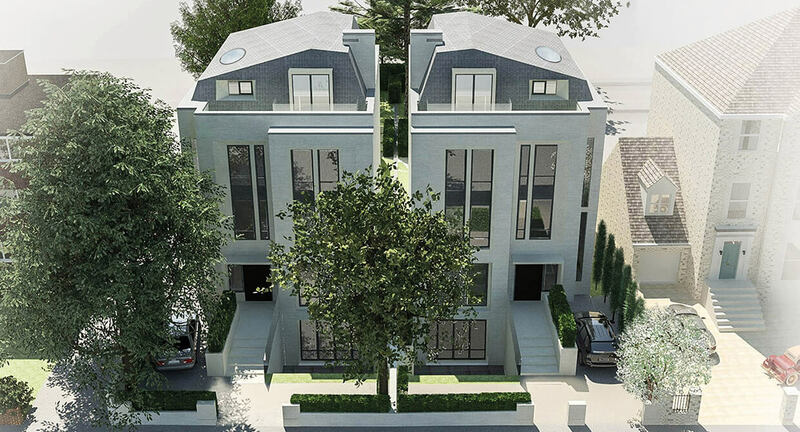 Planning consent achieved for 2no., twinned, contemporary villas circa 550sqm set within a newly landscaped setting that intensified land use over the existing. 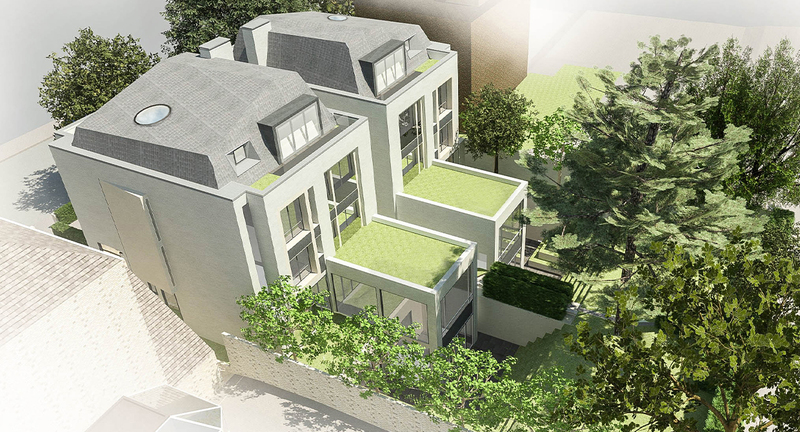 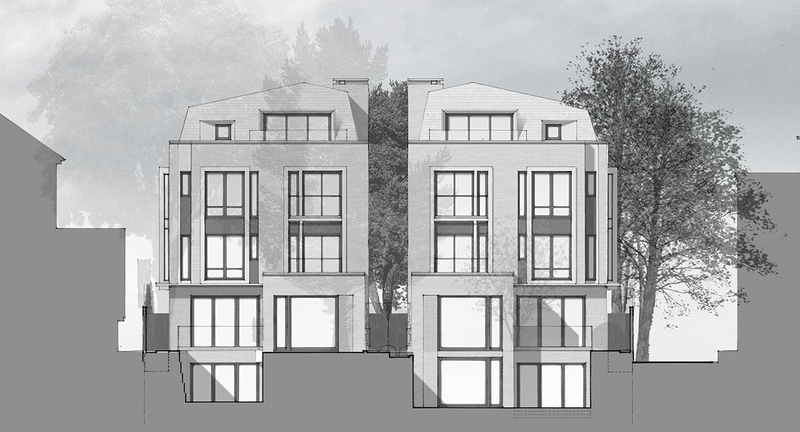 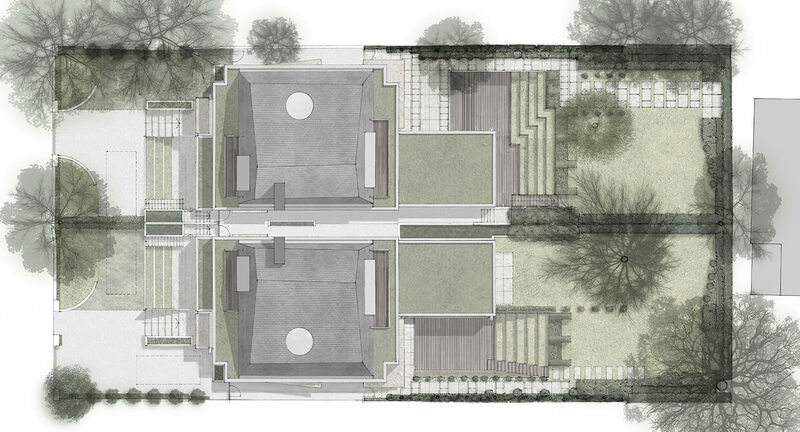 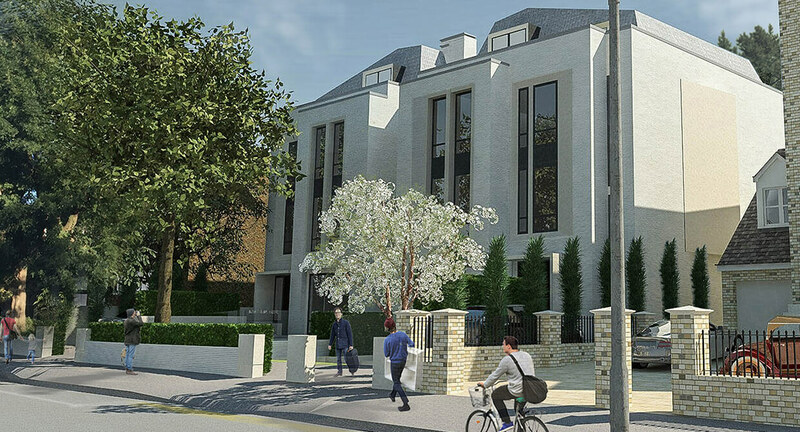 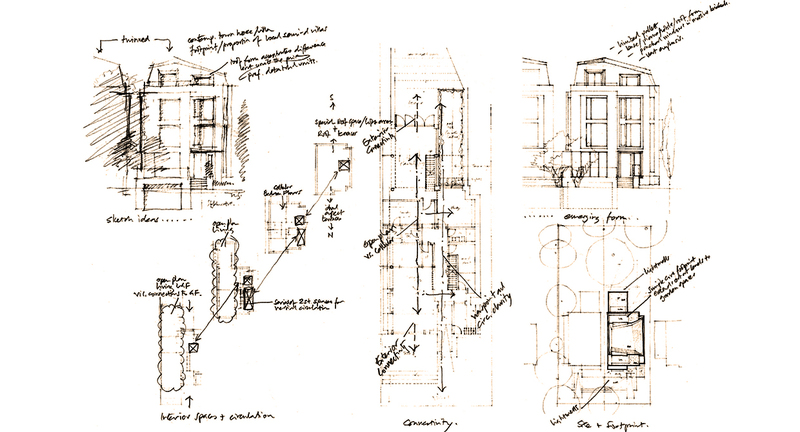 The site is located in a conservation area adjacent Putney town centre, surrounded by large traditional houses opposite a Grade II listed church. 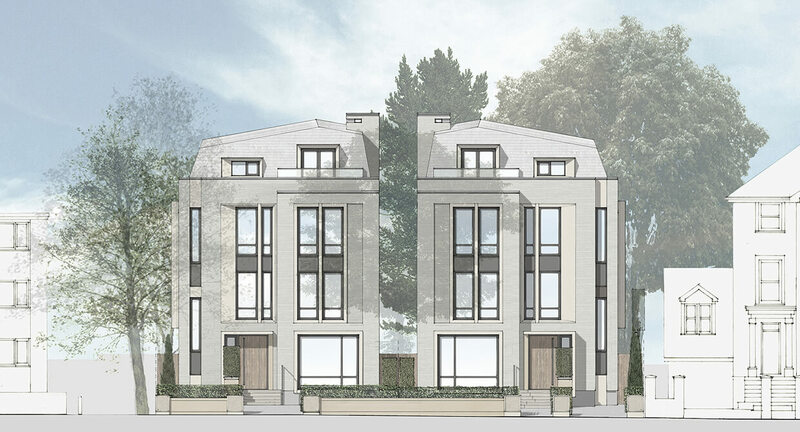 The practice justified the intensity of the scheme by producing robust townscape studies and working with a heritage consultant to help convey the design quality. 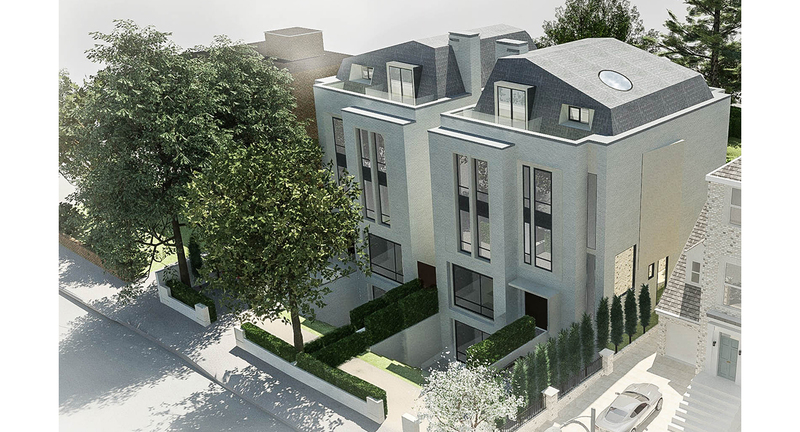 Materials were chosen in collaboration with the developer and included special Dutch long/narrow brick and Portland stone facings under asymmetrical slate finished roofing to present clear contemporary lines that would contrast with the traditional setting. 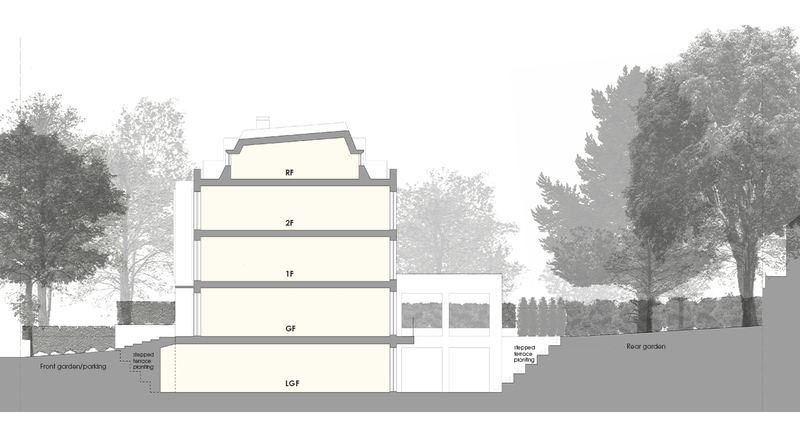 Detailed protection measures were devised for a variety of mature trees of merit within and external to the site and it is acknowledged they contributed much to the setting.